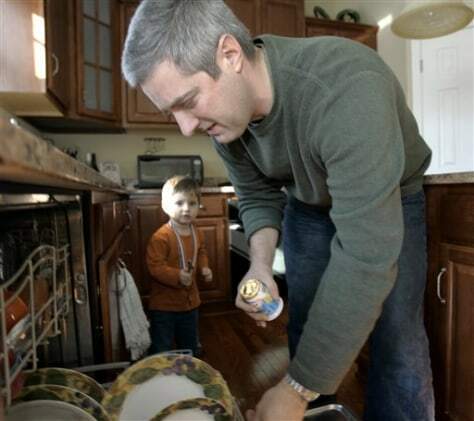 Don McCoy, right, removes clean dishes from the dishwasher as he prepares to feed lunch to his 3-year-old son, Marcus, at their home in Coraopolis, Pa. In one year, McCoy has gone from being a top executive in a high-tech startup to Mr. Mom.